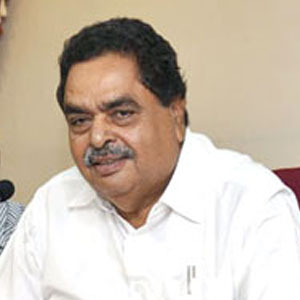 Mangaluru, Mar 23, 2015: Addressing the people present for the foundation ceremony of a multi-village drinking water project at a cost of Rs 52.79 crore in Bantwal on March 22, Minister for Forest, Environment and Ecology and District in charge Minister B Ramanath Rai said that out of the planned six projects , five had been sanctioned and one would be approved soon. The work on two projects have commenced and all the concerned villages are to get safe drinking water. The minister added that he would visit all Gram Panchayats to solve the section 94C problem. He went on to state that Rs 10 crore had been sanctioned for mini Vidhana Soudha in Bantwal, Rs 7 crore for Bantwal bus stand and Rs 37 crore for a guest house. A traffic police station will be built at Bantwal to better control traffic . A park and coloured fountain are also in the pipeline. Priority will be given to solid waste management as a part of beautification of Bantwal Town, he said and also that efforts were on to upgrade Bantwal Town Municipal Council to City Municipal Council. Bantwal taluk has 12 Panchayats, the highest in the State. Minister for Urban Development Vinay Kumar Sorake said that attention would be for rejuvenation of lakes by supplying water from canals. The Cenre has sanctioned Rs 1,000 crore, under UIDSSMT of Union Urban Development Ministry for multi-village drinking water project. The project will be completed within 24 months to provide round-the-clock water supply in Bantwal. For underground drainage system in Bantwal, Rs 61.45 crore will be sanctioned within 15 days. Also, Rs 13 crore will be provided to Belthangadi, Rs 75 crore for the second phase of Thumbe Vented Dam, Rs 81.62 crore to Moodbidri towards UGD system and Rs 65.60 crore to Sullia for drinking water supply, he said. Under Nagarothana project, Rs 35 crore is being spent towards the drinking water supply and UGD at Kukke Subrahmanya temple. The process of recruitment of 5,200 employees to Town Municipal Council, City Municipal Corporation and City Corporations has started, he said. A circular has been sent to every panchayat towards solving form 9 and 11 (Panchayat Raj) problem. On the occasion, six beneficiaries were provided free LPG connections, aiming for kerosene-free Bantwal initiate. Earlier, Minister for Higher Education R V Deshpande inaugurated the new building of Government Polytechnic in Girigudde in Bantwal. The new polytechnic college building has been constructed at a cost of Rs eight crore. Also, girls hostel built at a cost of Rs one crore was inaugurated. Several matters were taken up on the occasion.